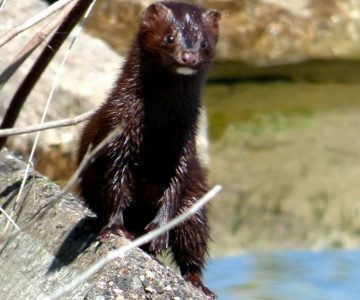 Winter is the best time to find evidence of mink. With snow cover, mink tracks can readily be found along streams or the verges of ponds and lakes. 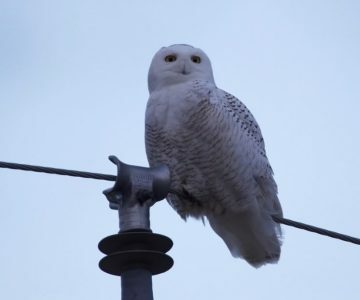 Myths, legends and modern literature feature owls, a notable example being Hedwig the snowy owl, loyal companion of Harry Potter. 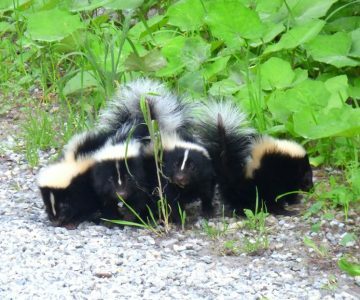 Skunks, in contrast to porcupines, are positively cuddly with soft, luxuriant fur, just begging to be stroked. Do you know of a bigger tree in the Headwaters Region? 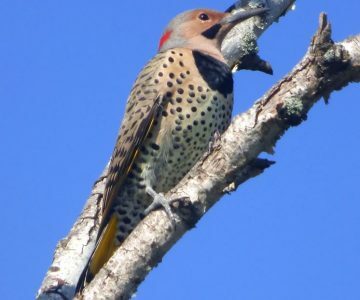 Northern flickers are boldly and beautifully marked woodpeckers that are common throughout the Headwaters. Night Hikes – A purposeful walk along a path, playing a flashlight over leaves, branches and trunks will reveal wonders. 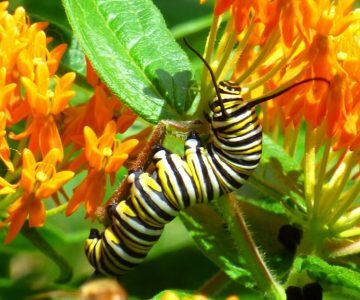 Don Scallen enjoys sharing his love of nature through his writing and presentations. 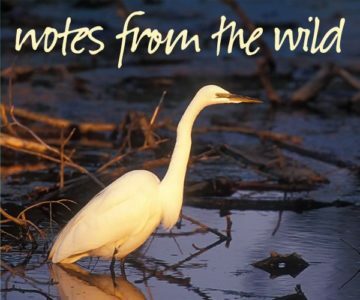 Check out his blog “Notes from the Wild”. 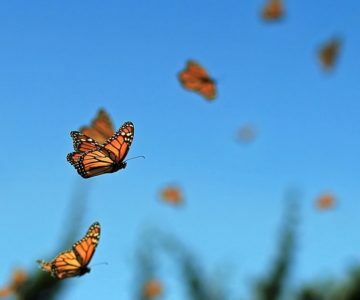 Savour fall with these 10 wonders of autumnal nature – from insects to constellations. 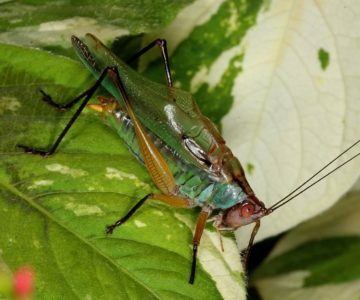 Katydids are seldom seen, because they camouflage so well with greenery. 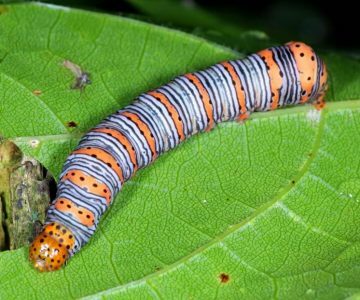 Caterpillar food plants will summon egg-laying female butterflies to your yard. Then, if sharp-eyed, you may find the minute eggs. 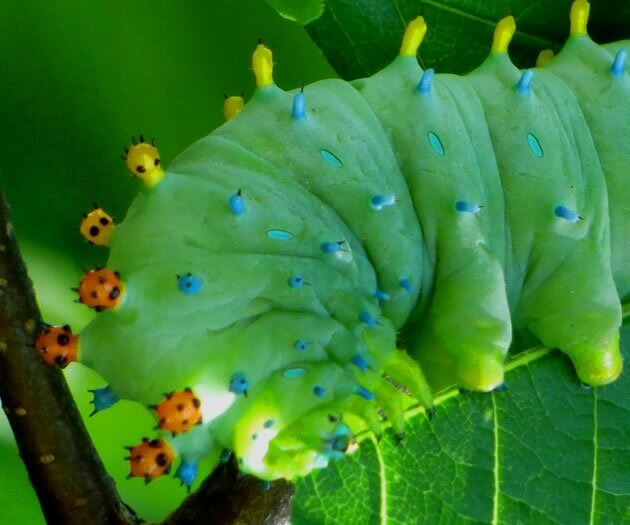 More likely you’ll find the caterpillars. 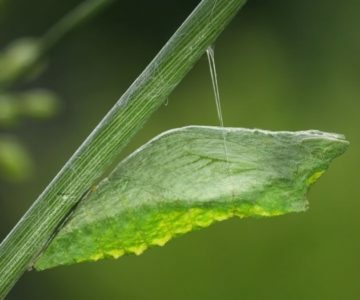 With a few exceptions, chrysalides are designed to be overlooked, to allow the wondrous alchemy of metamorphosis to proceed undisturbed. 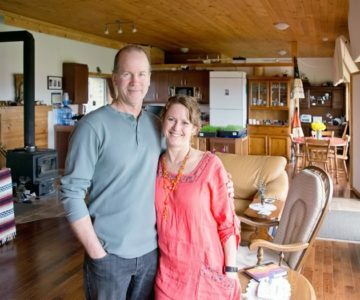 For Mary and Brad Kruger, living lightly doesn’t mean sacrificing comfort for conscience. 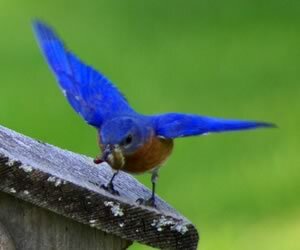 The success of bluebird nest boxes tells us that we can help wildlife, if we care enough and have the will. 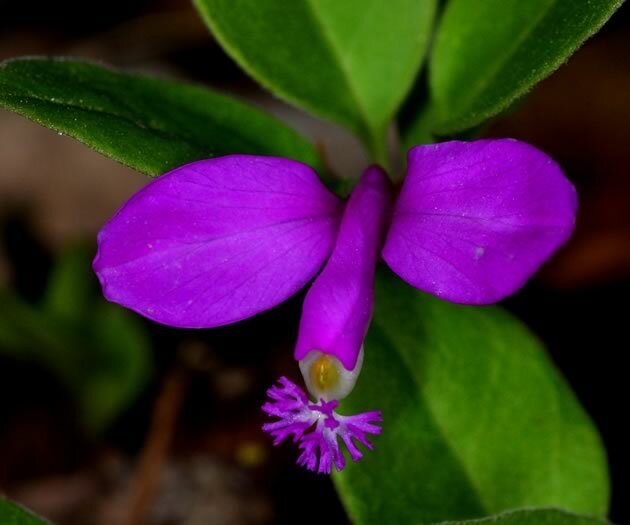 Spring wildflowers are a varied lot, many graced with fanciful names that fire the imaginations of children and adults. 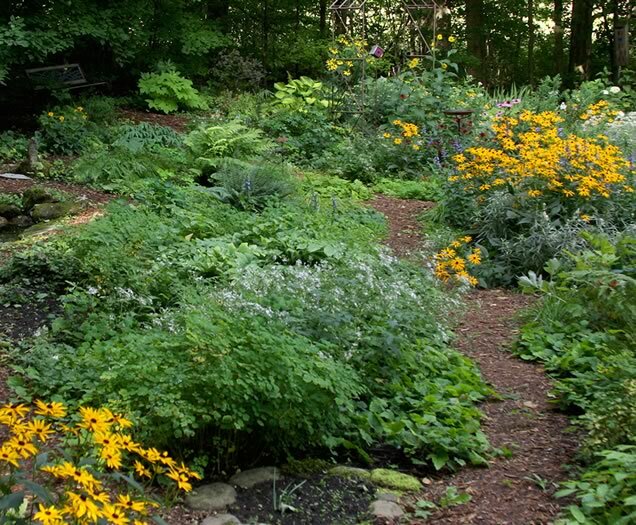 If you love birds, and you plant trees or shrubs this spring, please choose native plants. These fleeting spring wetlands are factories of biodiversity. 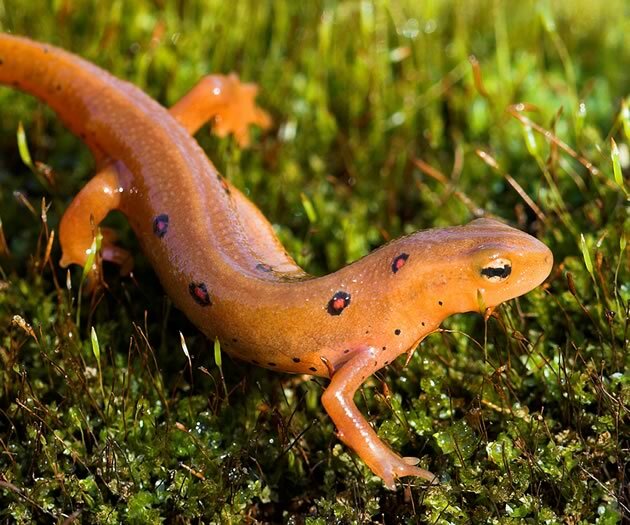 Unusual winters threaten vernal pools, as do hot, dry summers. 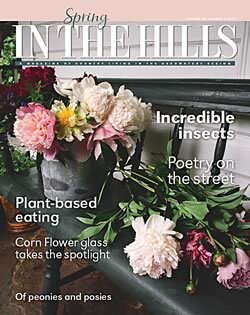 Inspiring tales from those who broke free from the rule of lawn. 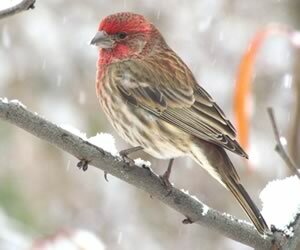 The house finch, perhaps more than any other bird species, is a confirmed urbanite, eating the bird seed we provide and cozying up to us at nesting time – hanging flower baskets are favourite nest sites.